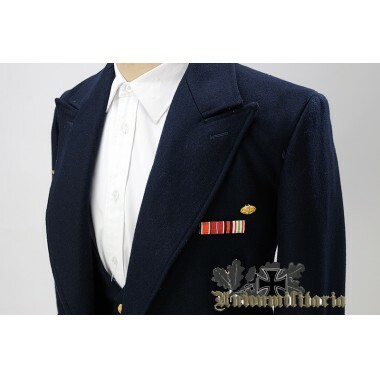 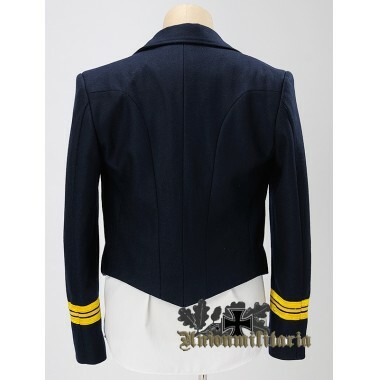 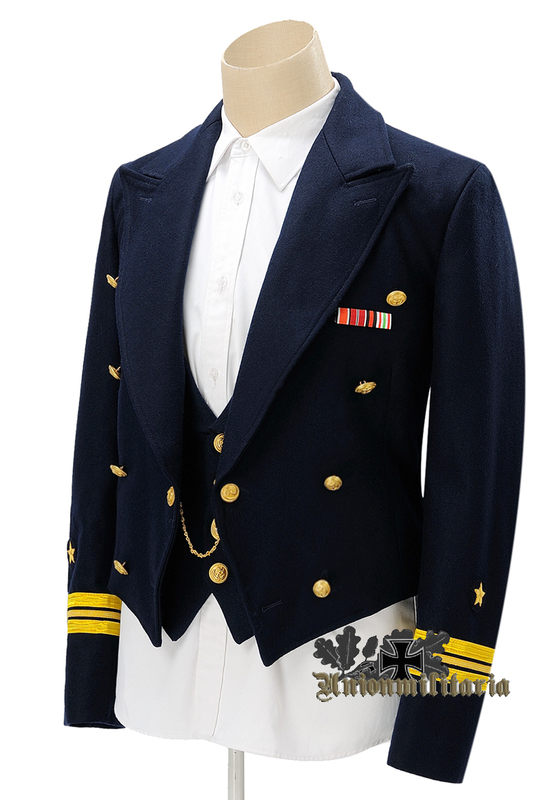 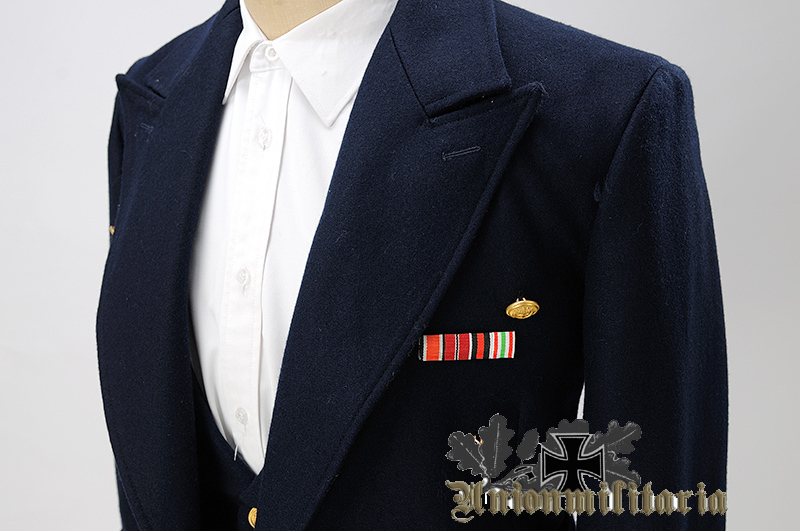 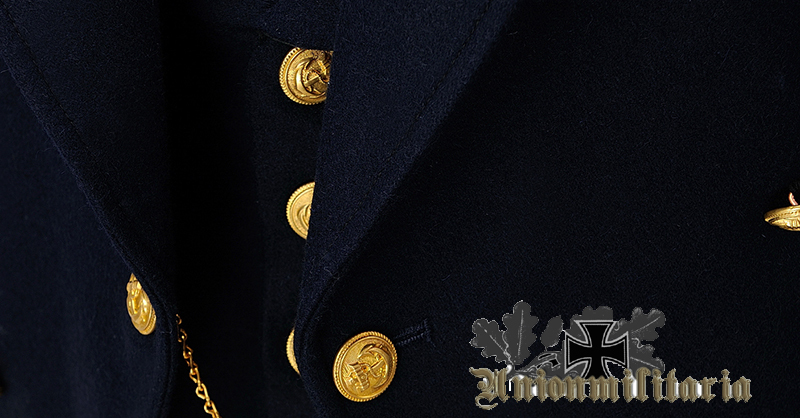 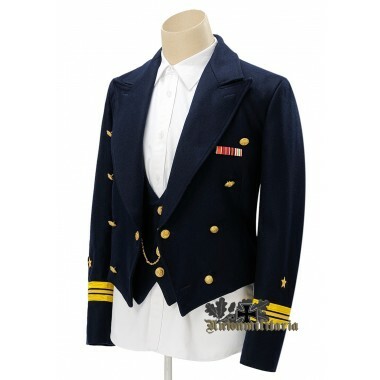 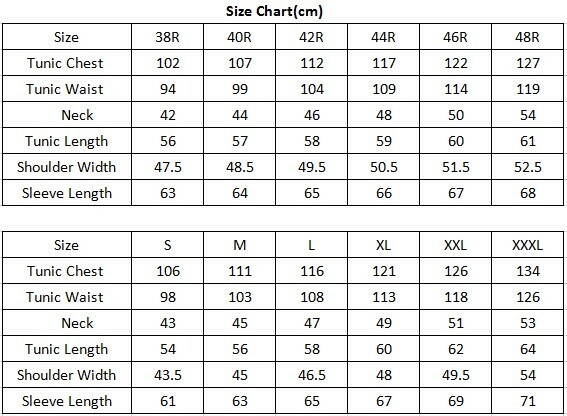 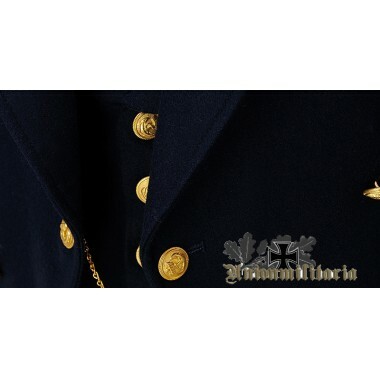 Get the best WW2 German Kriegsmarine Blue Mess Dress Tunic on the market at the best price,price includes shipping. 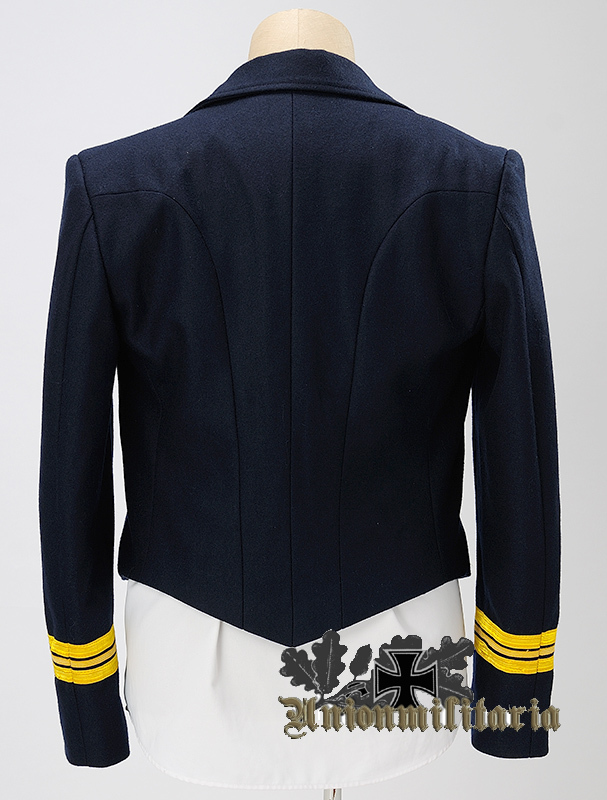 Short waisted tunic,a row of four buttons on each front panel,fastened by a pair of gold anchor buttons linked by a gold chain.Interior has quality rayon lining,internal pocket and G.Assmann tailor label and owner label. 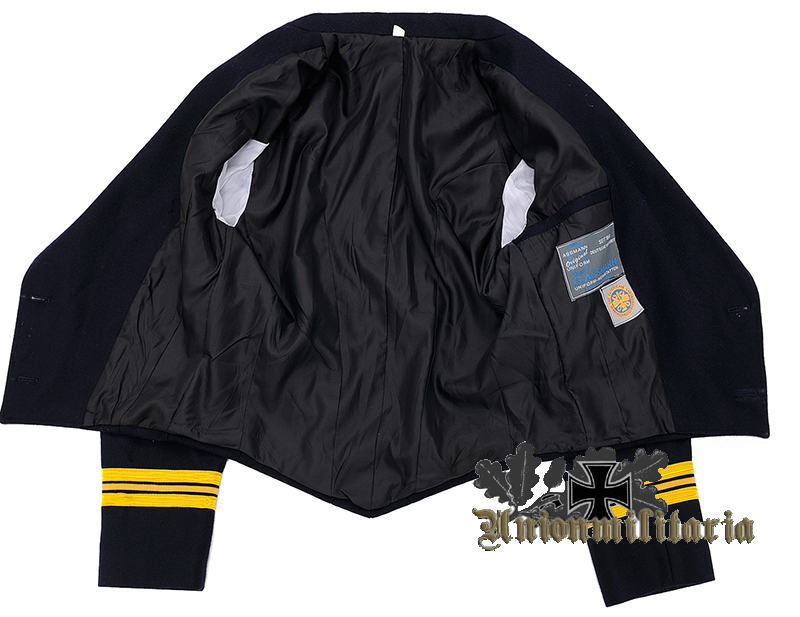 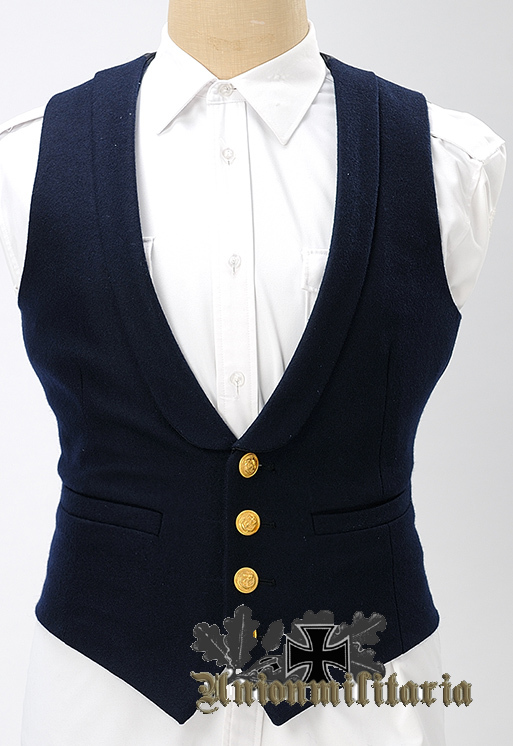 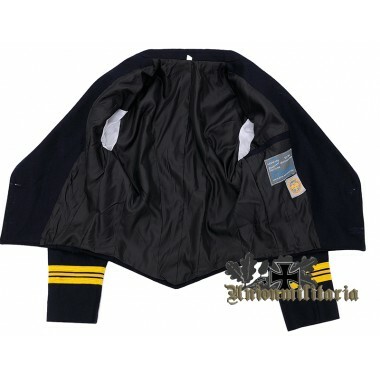 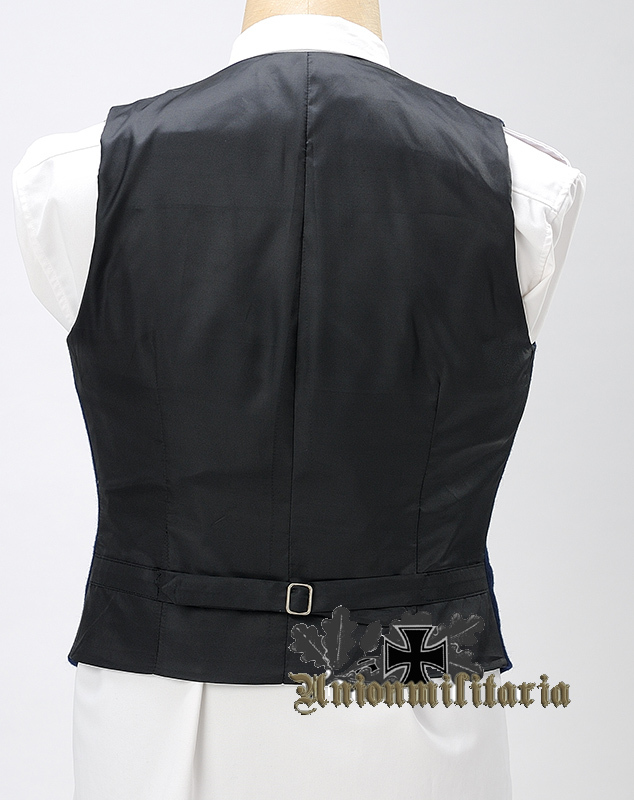 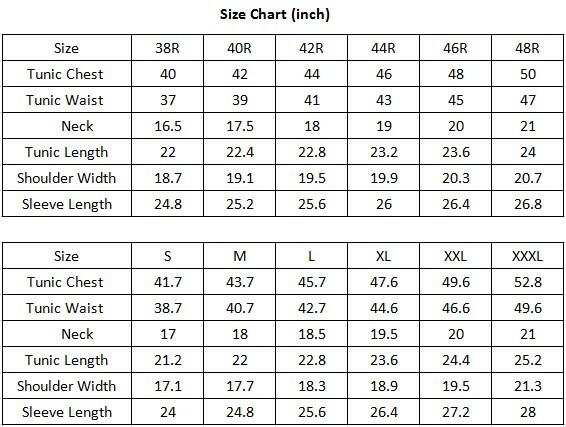 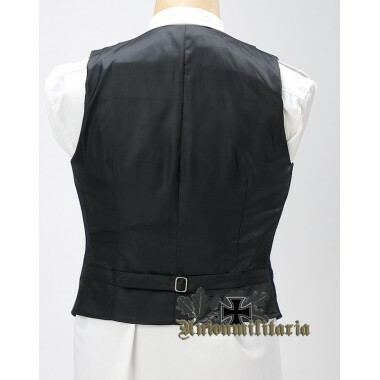 Vest front is made of navy blue wool,reverse is made of rayon.Four gold anchor buttons down the front,two internal skirt pockets with exterior opening. 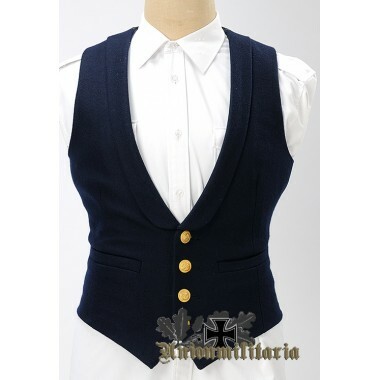 Shipped in about 2 weeks,free shipping by express.It would arrive between 5-7days if it's shipped by DHL,it would arrive between 7-10days if it's shipped by EMS.